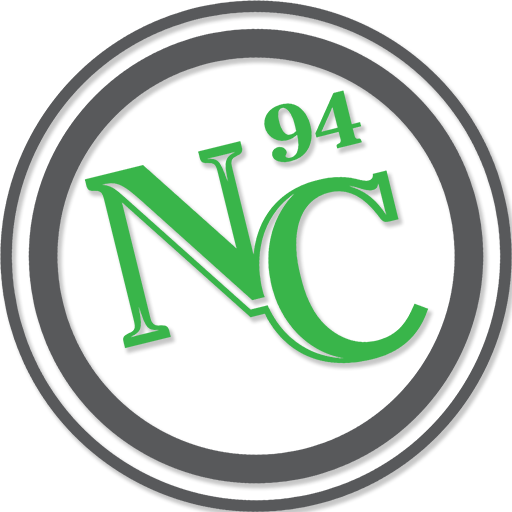 Maintenance is the foundation of New Castle, built by providing quality craftsmanship along with valued customer relations. We set our standards high and pride ourselves on paying attention to details and on rapidly responding to all of our client’s needs. At New Castle we take pride in the quality of our mowing. To give our clients the cleanest and nicest cut possible, we use the best equipment and sharpen & balance our blades everyday. Each service includes bagging necessary areas, trimming around obstacles, edging walks & landscape beds and blowing of debris off of hard surfaces. 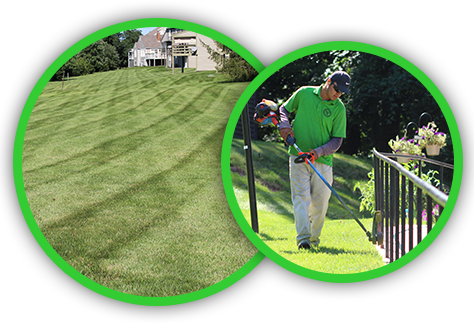 We offer annual mowing contracts to individuals who want continuing, scheduled service. We also offer shorter term contracts for those who just need occasional help. If you are planning a vacation then give us a call and we will schedule our services while you are away so you can enjoy yourself. The beauty of fall foliage can quickly turn into a wind swept mess in your backyard. We not only provide an efficient and detailed leaf clean-up, but we also remove the unsightly piles with our leaf truck. Applying mulch to your landscape beds is aesthetically pleasing and also very beneficial to the plants. A 2-3” layer of mulch helps to insulate the soil, retain moisture during hot and dry periods and help prevent weed growth. To further enhance the look of fresh mulch, we use mechanical bed edger’s to create a crisp and professional edge. The proper maintenance of shrubs will enhance the overall appearance as well as the health and vigor of the plants. 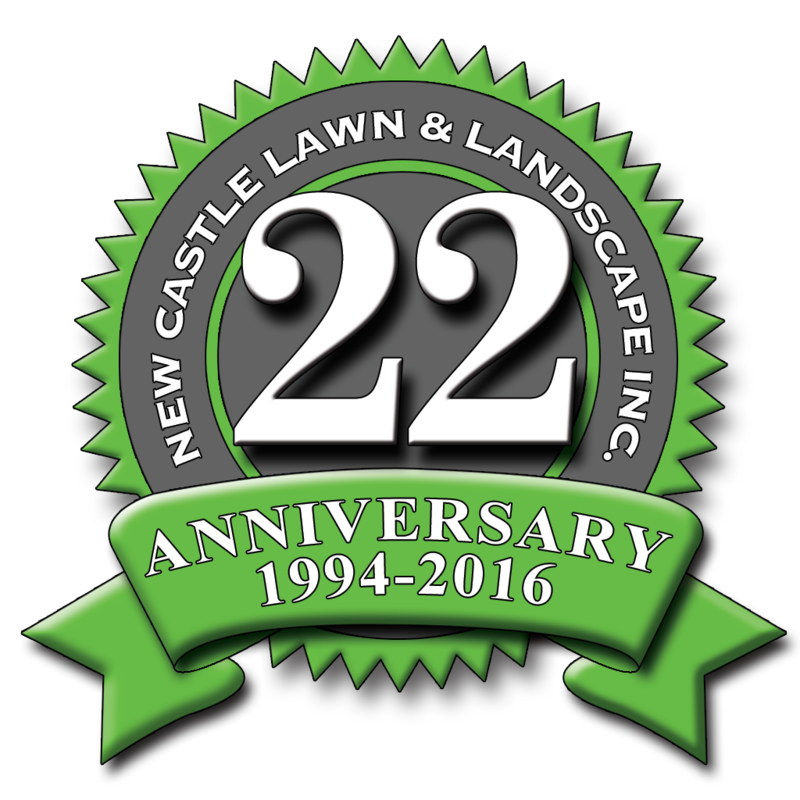 Corrective pruning, dead wood removal and shaping are accepted practices by the landscape industry and performed by New Castle. Old and rotting stumps can be unsightly and unsafe. They can also be home to unwanted animals and other pests. New Castle can remove those stumps safely and quickly and return the areas to useful turf grass. Proper pruning of trees is a job that should be left to the professionals. Our certified landscape technicians are trained in current pruning techniques. The health and longevity of treed greatly depends on: How you cut, Where you cut and When you cut. Maximize grass results with a reliable irrigation system. New Castle ensures that every system is functioning properly. 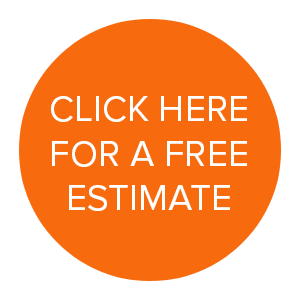 We adjust, repair and replace pipes, valves, controllers, sprinkler heads, sensors, and more!